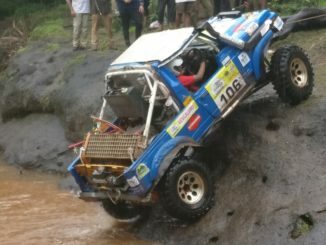 Gancim, July 25, 2017: The fourth season of Force Gurkha RFC India, the toughest international off-road motorsport event in the country, had a roaring start with defending RFC India Champion Gurmeet Virdi (co-driver Kirpal Singh Tung), representing Gerrari Offroaders Chandigarh, retaining the top slot with 390 points out of 500 after the conclusion of five SS (Special Stages) on Day 1. 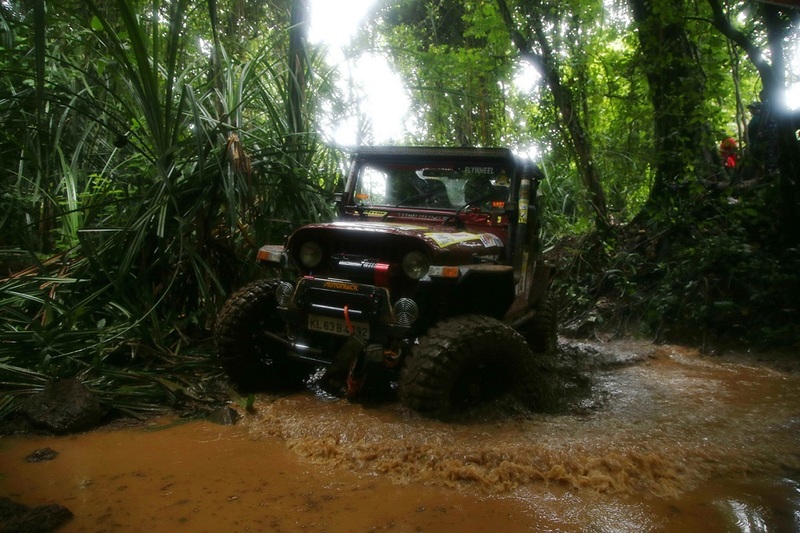 Veteran rallyist Jagat Nanjappa (co-driver Chetan Changappa) of V5 Offroaders from Coorg was at the second position with 355 points. 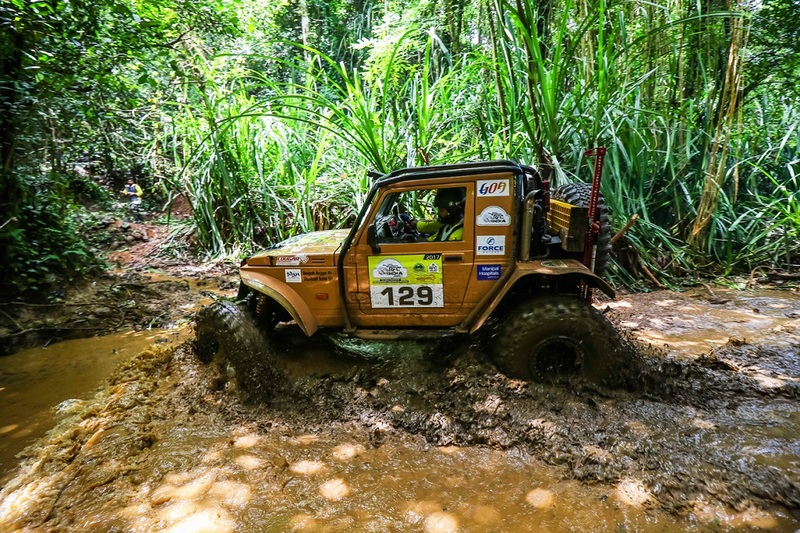 Siddartha Santhosh (co-driver Prithviraj AC) from Team BODA (Bangalore Offroaders Development Association) stood at the third spot with 298 points after the declaration of results for the first day. They were followed by Sanbir Singh Dhaliwal (co-driver Gurpratap Singh) from Gerrari Offroaders Chandigarh with 237 points and Vivek Thomas Kuriakosse (co-driver Ashok Abraham Kuriakosse) of Team BODA with 202 points at the fourth and fifth positions respectively. Interestingly, this is the first time in the history of RFC India that no international driver has managed to be in the top 5 positions on Day 1. The teams were allocated maximum 15 minutes for completing each SS, with each SS being worth 100 points. 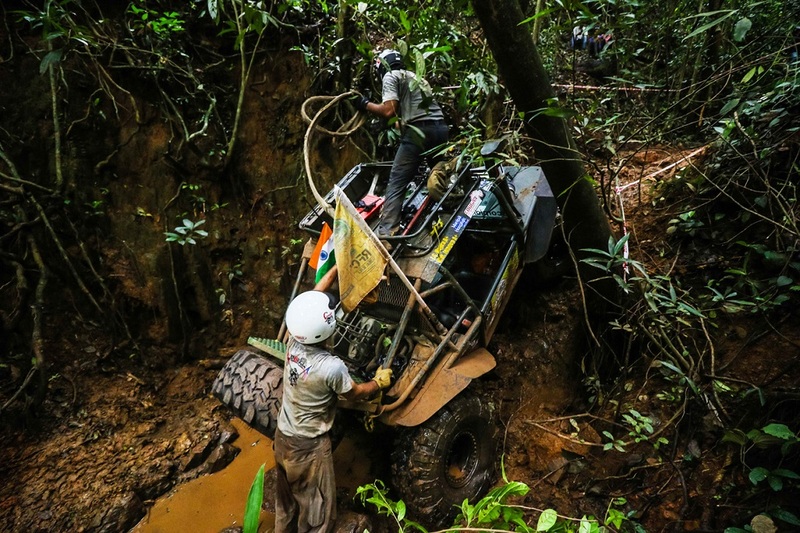 The teams that were unable to finish a task within the allowed duration were given a DNF (Did Not Finish). Moreover, penalties were given to the teams making mistakes like breaking a peg or a bunting or for touching a live winch cable; these penalties had a direct impact on the team’s cumulative score for that particular SS. SS 1 had participants cruising up a steep incline and come back while SS 3 had them climb a perpendicular ridge of around 2-3 meters. 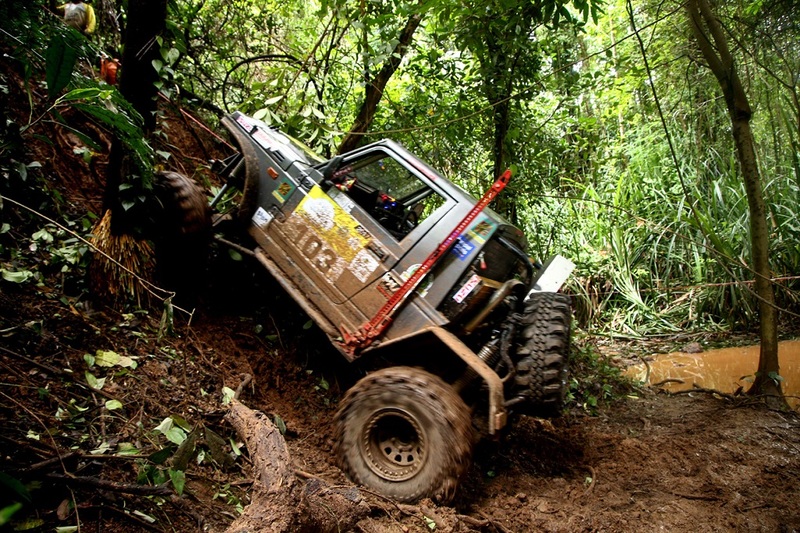 SS 4 required contenders to hit a marker atop a 50 degree slope and trace their way back through bumpy terrains while SS 5 tested their vehicle handling capacity in narrow passages lined by bushes and boulders along the course. The highlight for the day was SS 2 which stood unconquered after the completion of all attempts, with 32 teams getting a DNF for that Stage and the remaining 6 teams getting a DNS (Did Not Start). It had the vehicles maneuvering through some steep and slippery inclines and sharp turns before retracing the same way back; testing the drivers’ technicalities on strenuous inclines. 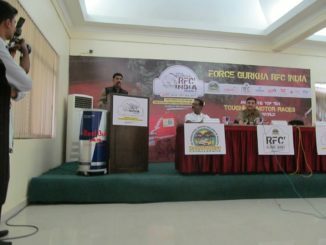 While the day was great for some and disappointing for others, there is still a long way to go before the Force Gurkha RFC India 2017 Overall Champion is announced on 30th July. 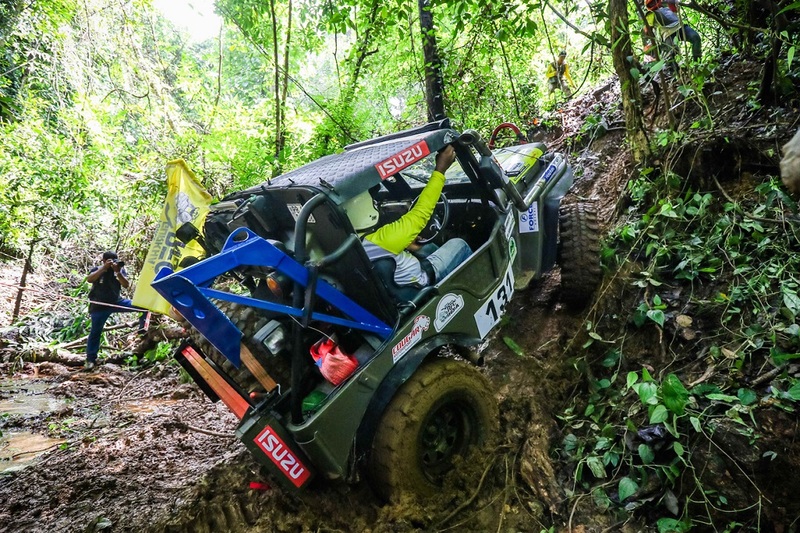 With the event being the ultimate test of the man and his machine, anything can happen over the remaining legs of the competition as the difficulty level is set to upscale significantly in the coming days.